“ Murli Das Melwani is a young East Indian businessman who writes as a hobby. Well educated, he has edited a magazine. As he is by his own admission “ very much a bachelor”, he may be unusually well qualified to write about the intrigues of the marriage market of his country, which cannot be too different, beneath the surface, from our own. 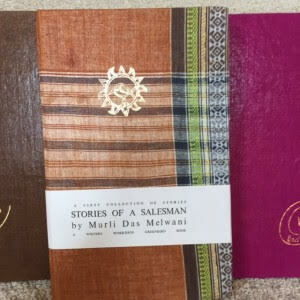 It is anyway a topic that is touched on in the Stories of a Salesman, which are not stories with complex plots so much as sketches after the manner of Lafacadio Hearn, sharp vignettes of the daily round of average East Indian people. Let us hope that this promising writer may resurrect his partly finished novel of Indian life from the ashes of the fire that destroyed the manuscript” – William H. Archer, Tennesse Weslyan College, in Books Abroad, July 1968 issue University of Oklahoma Press, Norman, Oklahoma. Reviews also appeared in The Journal of Indian Writing in English, Though, The Statesman, Hindusthan Times. Tea is a Very Good Drink : a young man, disappointed in love, discovers the virtues of the cup that cheers, in an ironical, touching cameo. The Electric Saw : U Sibmon Roy, pumpkin-faced tinpot saw owner, faces the truth that not only workers, but industrial machines, have personalities. A Ghost comes to the somnolent hill town of H. and starts a to-do that brings out all the dirty Linen in the open, in a sharp, drily satirical story. All Our Yesterdays — And Tomorrows : the husband-wife-and -lover motif presented with extraordinary restraint and compelling pathos, Shiva with a Garland : a visit to a prostitute brings to the man memories that are suggested with a haunting tangential economy of effect. Del Wilpo is A Remarkable Woman,”of reserved virtue,” who provides a public utility service in the style of Mamie Strovert but with characteristic Indian touches. Brother and Sister are street performers, resolving bitterness and tension in a posed photograph showing both holding hands. 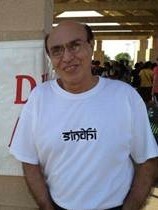 In An Upset Stomach Seth Mangaldas dresses himself in a brief public authority to compensate his hen-peckedness. The Shrine re-tells an Assamese legend of two lovers. Those Two are mother and son, and son and seductress — and the point is : who will possess who? The Mask hides Mrs. Gian Chand’s private grief — but very briefly. The Kite-Flying Season is also one of maternal heart-break. Dark Diwali Night sketches a coal-miner’s dilemma. At the Ghats of Varanasi an agnostic comes to grips with the meaning of life. The Doctor’s Fees are paid, and no questions asked, in a story reminiscent of the theme of Measure for Measure. Eight Rupees, received with thanks — in a story with a twist ending. In A Boy and a dog, the Indian pariah is poignantly celebrated. “Teesta Holiday” in the bi-annual Mount Hope Magazine published by Roger Williams University: http://issuu.com/mounthopemagazine/docs/www.mounthopemagazine.com/79. Reprinted in BR International (Hong Kong). Freezing Time appeared as“Water on a Hot Plate” in Drunken Boat. (USA): http://www.drunkenboat.com/db16/murli-melwani with a voiceover (narration) by William Bruce McFadden so that the story can be read and heard at the same time. Also in Muse India: http://www.museindia.com/featurecontent.asp?issid=62&id=5941. Reprinted in Kalfa International (India) and BR International (Hong Kong). Included in New Asian Writing Anthology 2014. http://www.new-asian-writing.com/tag/murli-melwani/ Shortlisted for the Flann O’Brien Award 2014. “The Bhorwani Marriage” has been anthologized in Stories from Asia: Major Writers from India, Pakistan and Bangladesh (Longman Imprint Books, U.K). Also translated into Italian and published in an anthology called RACCONTI dall’ INDIA. (Oscar Narrativa).It has been included in another anthology, Contemporary Indian English Stories (Sterling Publishers, New Delhi) that became a recommended text for schools in North India. “Writing a Fairy Tale” in Yuan Yang , A Journal of Hong Kong and International Writing(Published by Hong Kong University in the Centenary issue). Deep Roots. A Play in Three Acts. 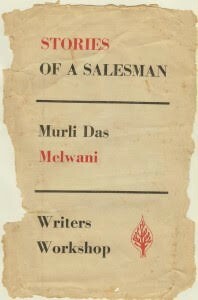 Writers Workshop, Calcutta. 1970.